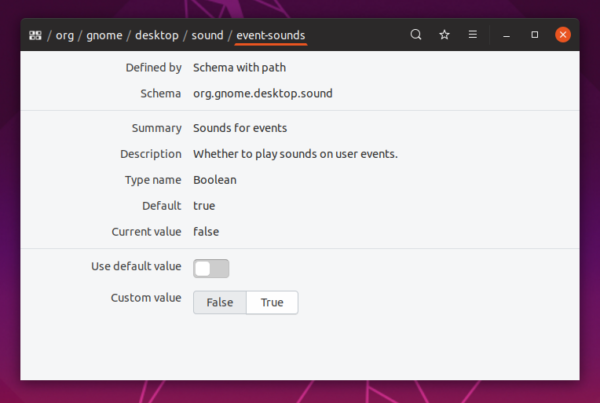 Ubuntu Gnome desktop will play a simple alert sound for certain types of messages and events, e.g., terminal tab completion alert and usb plugged in or removed. 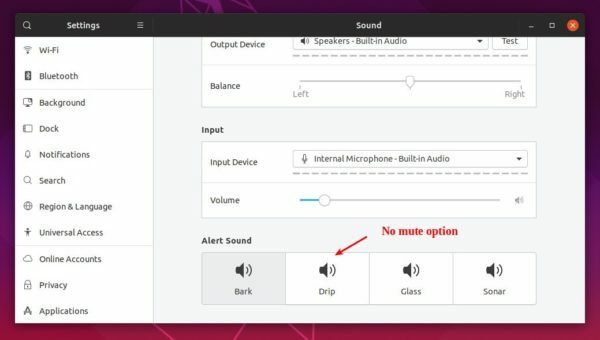 In Ubuntu 19.04 sound settings, it only provide options to choose a different alert sound, though it used to have an option to disable or mute it in old Ubuntu releases. 2. Launch dconf editor and navigate to org/gnome/desktop/sound. Then turn off the switch for “event-sounds”. In addition, previous changes will be restored once you choose an alert sound (pic 1) in Sound settings.